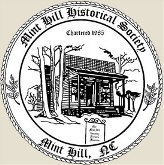 A 'For Sale' sign hammered into the front lawn of the old country doctor's building was all the motivation needed to begin the Mint Hill Historical Society. Twenty-one citizens signed the charter in 1985 with the purpose of preserving the history of the area. 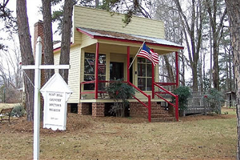 The Mint Hill Country Doctor's Museum was the first restoration project. 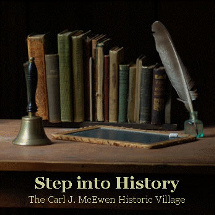 Today, everyone is invited to take a step into history at the Carl J. McEwen Historic Village. Visitors can walk through the restored Country Doctor’s Office, the Ashcraft one room schoolhouse, the Ira V. Ferguson Country Store and the Gold Assay office where miners brought their ore to see if they had struck it rich!! Other outbuildings in the village like the blacksmith shop, corn crib, Woodwright shop, mill, and meat curing building reflect the rural nature of early Mint Hill. Join the children and adults alike who find excitement and enchantment as they step back in time in the village.